Materials used to inflate depressions caused by wrinkles or acne seats, are generally called fillers, which include HA(hyaluronic acid), calcium, and collagen Filler smooth out deep skin gaps made by nasolabial folds and glabella wrinkles, or add volume to depressed areas of the face. 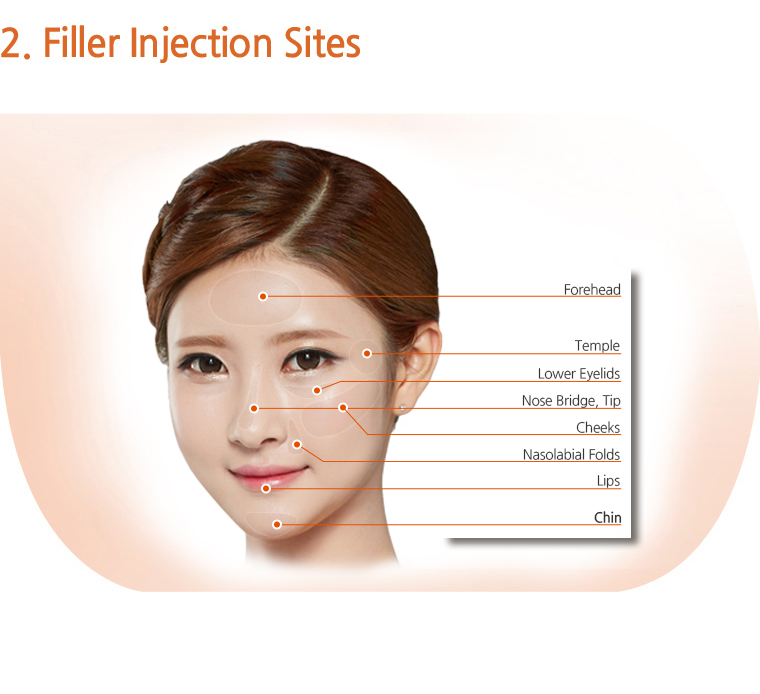 Fillers show immediate results without leaving any external marks. There are little side-effects involved. Avoid excessive rubbing on the injection site to allow filling materials to settle. Hot baths accelerate blood flow which lowers effectiveness of fillers. They are to be avoided for a week. Smoking and drinking are also to be avoided for a week, as they slow down settlement of fillers.